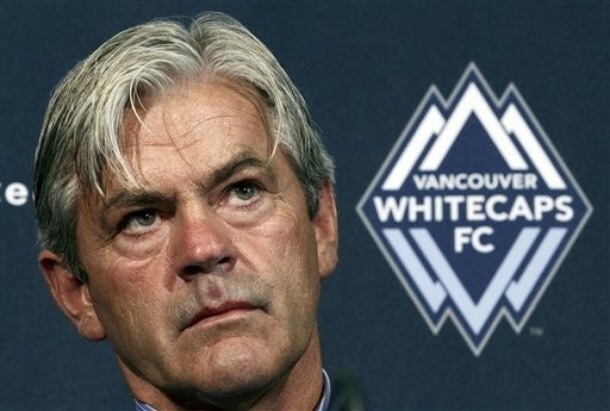 Teitur Thordarson and the Vancouver Whitecaps releases six players. Well I said earlier it was their move. Instead of signing players to their MLS roster Vancouver announced today six guys that would not be making the move to MLS next season. The Whitecaps announced the release of six players Tuesday: Goalkeeper Dan Pelc, defenders Nelson Akwari, Zurab Tsiskaridze and Chris Williams, midfielder Alex Elliott and forward Jonathan McDonald. Marc Weber of The Province states that none of the moves should be a surprise as some of these guys rarely saw any action on the field. Its pretty interesting to see how both Portland and Vancouver construct their rosters here. I’d imagine each have their own strategy at this point to do what’s best in their minds going forward. Vancouver looks to be trimming the fat before the expansion draft while Portland is making sure the right guys move forward.